The housing market has been experiencing some tough trials in recent times. The market began going down in 2006 and it doesn't appear to be making leaps and bounds in 2010. If you are struggling to make ends meet it is important that you stay informed of the potential processes that could fall upon your property. The issue of foreclosure in the Golden State presents to an individual under this process an interesting dilemma. Power of sale is a deed or mortgage in which the individual borrowing declares in advance to compensate for the amount due in the case of delinquency. The process that will be carried out if the power of sale is used is first started with a notice that is recorded two weeks in advance of the sale. A notice with receipt request must also be sent; this must be done two weeks and six days in advance of the sale. A sign of recognition must also be posted within that same time period with the time and place, address, holder's name as well as an address and phone number with a notice the home will be sold in an auction. The individual who is borrowing can only stop this from happening if he can settle five days before the auction. This process of foreclosure involves a lawsuit to brought against the person in question. 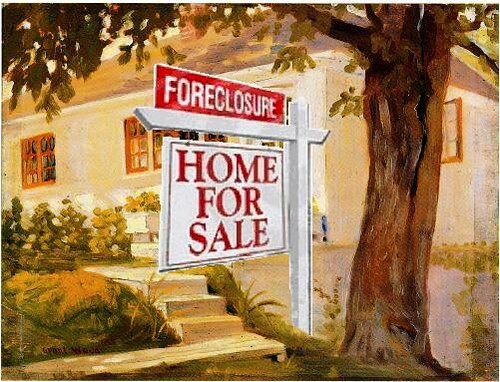 Judiciary foreclosure is used when there is no power of sale. If the court makes a ruling in favor for the house to be foreclosed the home is usually put up in an auction, given to the individual who bids the most money on the home. Under this type of foreclosure though the individual borrowing may possible come back and redeem the home in the time of up to a year. This type of foreclosure is put forth when the power of sale is available. When the power of sale exist and the home is foreclosed, the property holder may choose to sell the home. The home can also be sold by a representative of the property holder. In 2009 California Gov. Arnold Schwarzenegger passed a law to help with California forclosures. The law adds time to the borrowing party to work out payments for the property in question. The law adds a total of 90 days before a notice of sale can be given on a foreclosing home. To avoid losing your home in California, the key is honesty and preparation. An individual must be honest with herself that turmoil is on the way. Understanding what kind of foreclosure your property may be subject to is vital to be able to establish a plan of action if the problem cannot be resolved.